AutoCAD 2018.1 Update includes a new tool to create a new view. This tool makes it more visible, but it’s not new. Adding this is probably an Autodesk attempt to promote an underused tool. And you will need to create Saved Views to use the actual new tool: insert saved views on the layout. In the past, we have the New View tool in the View Manager. 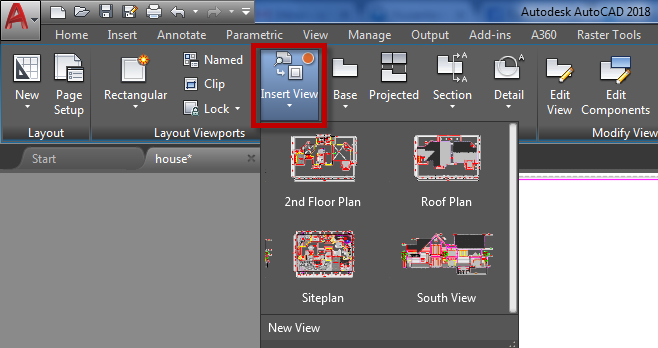 With AutoCAD 2018.1 Update, you can click it directly from the Ribbon> View tab> Named Views> New View. 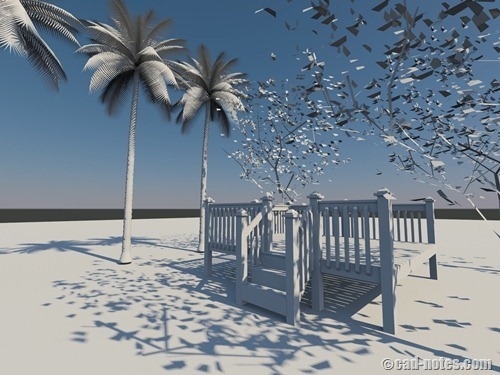 It looks like Autodesk provides a faster way to save a view with a new tool. But this command is not new. 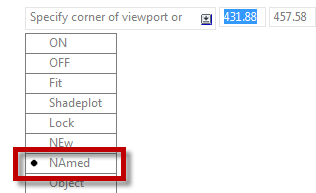 NEWVIEW command is available on the Command Line since AutoCAD 2009. The only difference is the tool is now on the Ribbon. And we know that we can add our command to the ribbon by modifying CUI. MVIEW is always the way to set Viewport on the layout. But now it has more muscle. 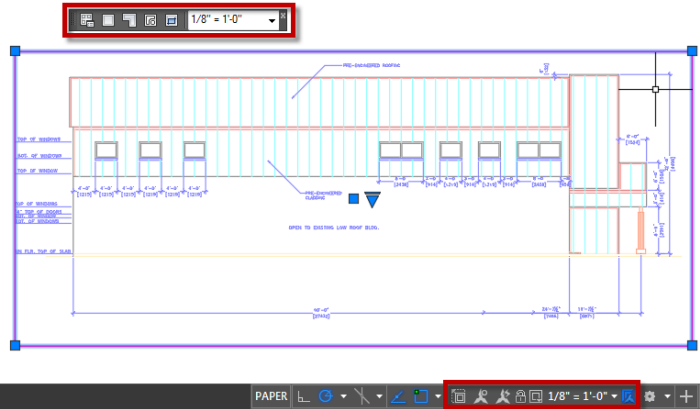 If you manage your views, you can add them in the Layout to prepare your sheet for plotting. You can find the saved views in the Layout tab> Layout Viewports> Insert Views. You can select a view to add it to your layout. Just click the view and you will see the preview boundary on your mouse pointer. The default view scale is the Annotation Scale that is active when you create the view. But you can change it before you place it by right clicking your mouse button before you place the view. You should see the notification on the Command Line or Dynamic Input. 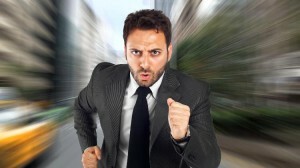 Are you a Command Line junkie? If you prefer to use the Command Line, you can use MVIEW command. Choose Named in the options. Autodesk added two new grips in the Viewport. You can click grip (1) to move to Viewport or grip (2) to change the Viewport Scale. In the past, we have to use move command or drag the Viewport boundary. The move grip is quite nice, actually. It’s pretty simple but quite useful. How about changing scale? You can change the scale from Viewport Toolbar or from the Scale List. They do the same thing, but the new scale grip is a bit faster because it’s near the Viewport. The New View tool and Insert View tool look like they are the hero in AutoCAD 2018.1 update. I admit that it can be easier and faster, but they are pretty minor features. And not really new. Enhancements? Yes. But new? I don’t think so. Inserting the view from this tool doesn’t place view title automatically. Maybe Autodesk will provide it. It is useful to have the view title automatically, and the title and scale automatically filled. If you are familiar with Sheet Set, you know it can be done there. So personally I will stick with the Sheet Set. However, this enhancement can still be useful. How about you? Do you like the enhancements? If you are interested, you can learn about Sheet Set in our e-book here.